Beautiful location and great size cottage. The attention to detail however was not the standard I have come to expect from rural retreats. Left over food in the fridge and freezer, mismatched plates and mugs (which were dirty) glasses random in size and quantity, plastic cheap radio which didn’t work, dishclothes left in washing machine. In the bathroom toothpaste and brushes in one of the drawers. It made as feel as if we were Goldilocks sleeping in someone’s house. FROM THE OWNER ~ Thank you for your feedback and pleased you enjoyed the Cotswolds. I would like to answer the comments raised by you. I leave tomato ketchup & mustard in the fridge/cupboard for people to use. As I do coffee/tea/oils/sugar etc etc. The frozen fruits in the freezer (all unopened) were left by the previous guests who were catching a flight, did not want to waste the food and offered it to me or my neighbours. I actually forgot to remove this but I did actually speak to you about it.. There are 3 x freezer compartments and one was used for the frozen bags so I didnt believe your enjoyment of Mole End would be compromised. As far as the crockery is concerned. I have all white crockery and 6 grey dinner plates, all The White Company and the two colours match my kitchen decor. I did put in 2 x Union Jack side plates, as they are quirky and patriotic. I have just counted the glasses and there are 6 (sometimes 8) of each...however, I agree that they should be in better order in the cupboard. The toothbrush was removed; it was tucked in the bottom of the large drawer in the bathroom and the cleaner probably missed this. I supply a SONOS system in the cottage as well as a radio, also any radio stations can be accessed through the TV. I have checked the radio and it does work perfectly but it is flimsy. However I will now look at more substantial radio for Mole End. My cottage is very homely, a "home from home" and I am sorry the above was a disappointment to you. 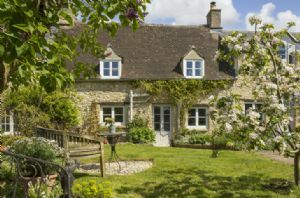 A lovely cottage and wonderfully cool in the hot weather. I stayed at Mole End Cottage for a week in June with my mother (and her dog!). 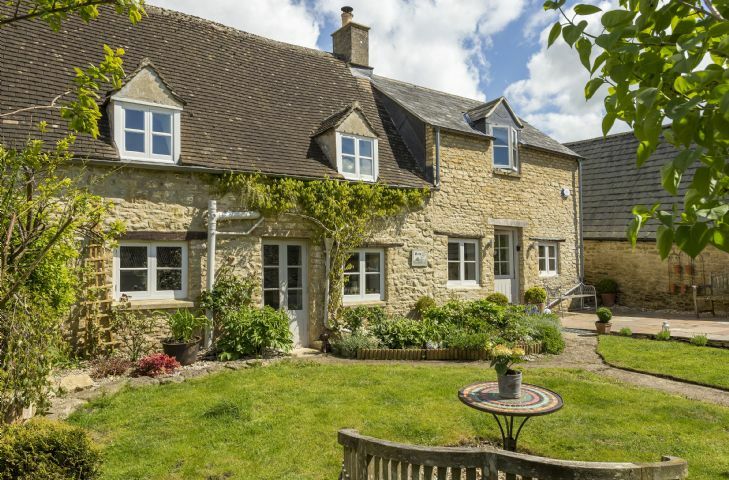 This is the third year we have stayed at a Rural Retreats property (having stayed near to Burford on the two previous occasions). 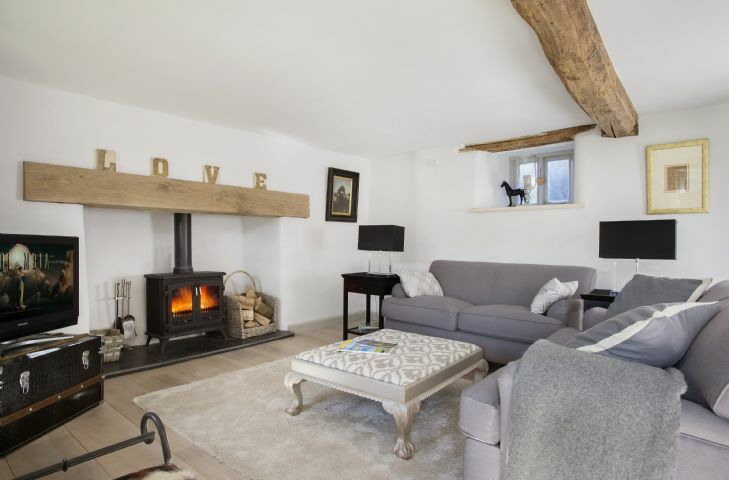 We really enjoyed our stay - it is a lovely, comfortable cottage, which has been updated (by Linda, the owner) with modern features, whilst retaining its original character. It was really pleasant to sit out in the well maintained cottage garden in the fine weather, something the dog appreciated as well! Linda was very helpful in dealing with our enquires, taking the time to come over to the cottage to sort things out for us. 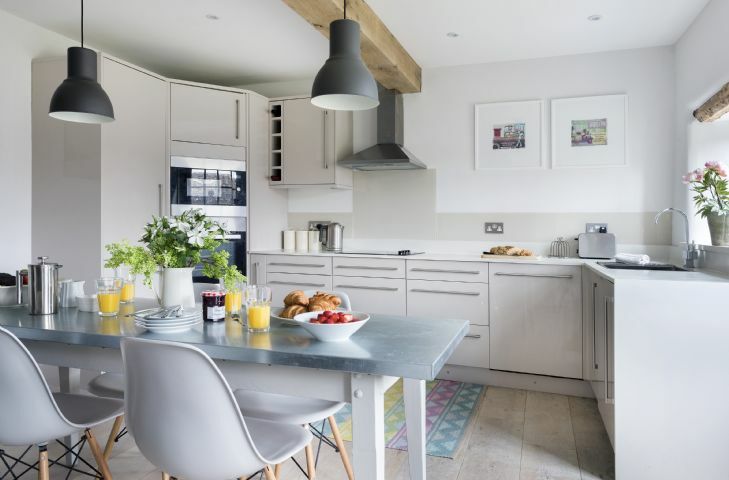 The village is very peaceful and is well placed for exploring the Cotswolds, with Cirencester being just a few miles down the road. Even closer are North Cerney Gardens, which is worth a visit.We will certainly consider making a return visit in the future. Many thanks. Beautiful location for exploring the Cotswolds, lovely furnished cottage, pretty on the outside and a warm welcome on the inside. Lovely cottage, lovely village.very helpful owner. Beautiful cottage in lovely village. 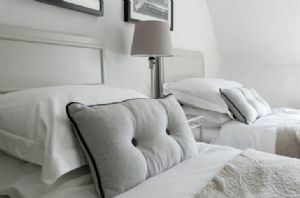 Tastefully decorated with comfy beds and sofas. Very pretty garden made all the better by the great weather. 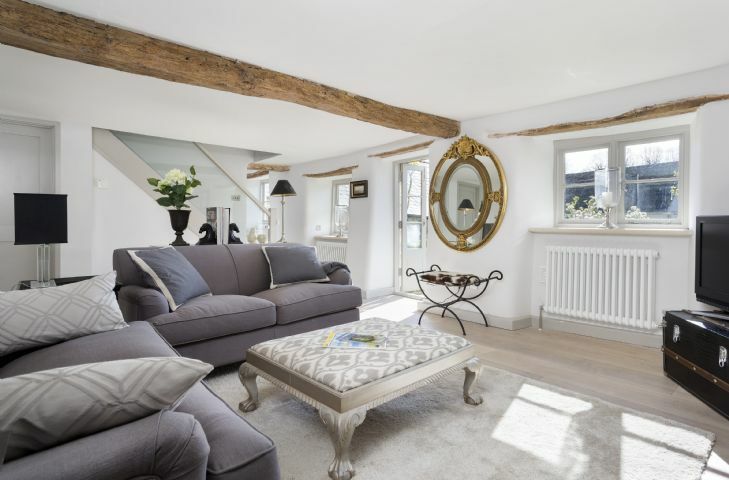 Beautiful cottage with lovely attention to detail in a quintessential Cotswolds village. Would highly recommend and will definitely be returning. Mole End Cottage is a little hidden gem! It was furnished beautifully and we enjoyed several local walks. The Bathurst Arms is only 5 minutes walk away, which was welcoming and served good food. 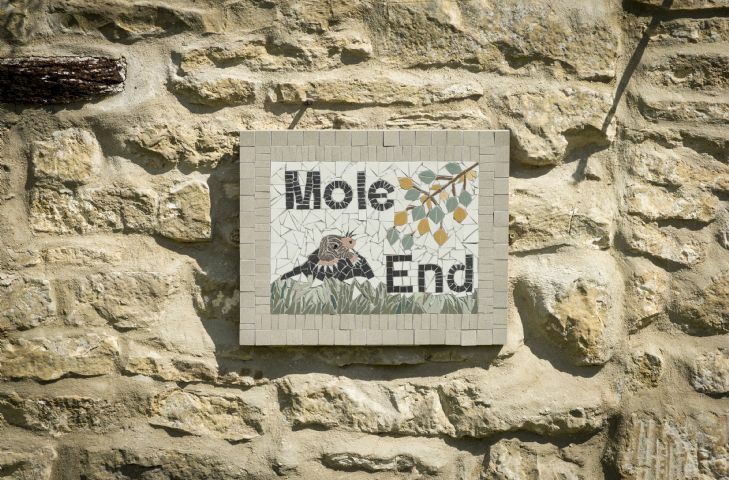 Would definitely recommend Mole End Cottage. 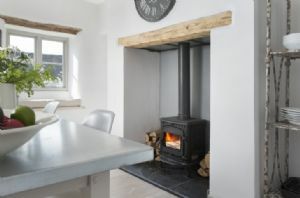 Fabulous, cosy cottage, great location. we felt welcome from the moment we arrived. The cottage was beautiful and the welcome basket was perfect. 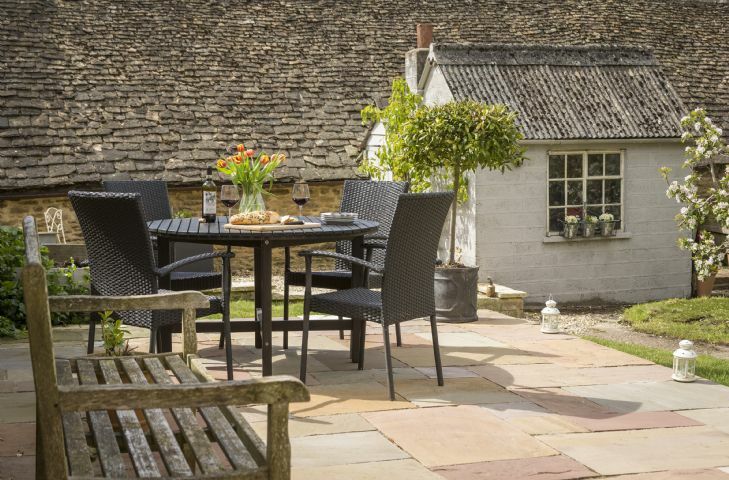 A great spot to enjoy Cirencester and the Cotswolds. The snow made it on the Sunday morning! 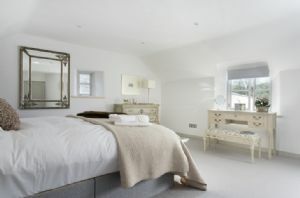 The cottage was beautifully decorated and furnished. Had a real fire which we love. And amazing underfloor heating in the bathroom. The owner had put the heating on for us so it was lovely and warm when we arrived. Felt very at home. There was a power cut during our stay which affected the whole village. The owner was very prompt at coming back to us to let us know what was happening. Very good communication. The owner allowed us a late check out which was brilliant as 10am is just too early a check out, especially when you are only staying for a weekend. The only complaint we would have and why we haven’t given the cottage 5 stars is that you advertise on your website that you get a welcome hamper which amongst other things contains butter and juice. Whilst there was a selection of goodies including wine and croissants (which we were grateful for) there wasn’t any butter or juice or other items that your site promises there would be. I had packed some provisions but hadn’t included butter (an essential reallly) or sufficient juice. The landlady of the local pub very kindly gave us a block of butter when we went for dinner, but it meant we had to pop to a food shop on the Saturday to replenish it. I was hoping to avoid food shopping on my short break, and we had to change our plans to accommodate it. Would be good to have exactly what is advertised in the welcome hamper. Also a little bin in each bedroom would be helpful. And confirmation on the website that there is a hairdryer at the cottage (to avoid packing one unnecessarily). That aside we had an absolutely lovely comfortable stay and would definitely return. REPLY FROM THE OWNER ~ "How disappointed I was that you were unable to give me 5 stars because of butter. I did, however, leave preserves for the croissant. You were very complimentary about my cottage, the communication, the late check out , even the hamper itself but not enough to give me/Mole End 5 stars, which was very disappointing...... 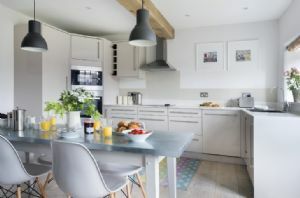 Rural do say that hampers vary: I usually go above and beyond what they suggest and might leave bacon, preserves, berries, chocolate, and also there is a cupboard full of extras ie olive oils, fresh coffee/instant coffee, tea (various teas), sugar/agave nectar, salt & pepper which guests can use. Always wine and milk. I do remember speaking with you several times because of the power cut in the village and you were "happily" spending time in Cirencester and enjoying the beauty of the Cotswolds. 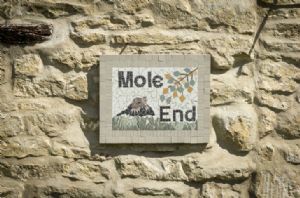 In future, however, when people contact me before they come to the cottage, I will let them know what I will be leaving in my Mole End hamper.....it does always vary. " Beautiful cottage. Lovely and clean. Very comfortable and quiet location. Perfect for a short getaway. Only constructive point to add is a loaf, butter and maybe some eggs would have been nice. This was our 11th RR and those items are usually provided. But only a minor point. Would love to return. Ps Really enjoyed the knitting! Should be available at every cottage. A great communal effort for charity, and a lovely activity in front of the log burner. Gorgeous cottage, lots of thoughtful touches nice pub in staggering distance. Extremely comfortable and warm. 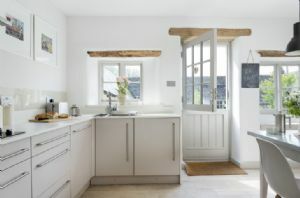 Mole End Cottage was all that we hoped for when we rented this lovely home in the Cotswolds. 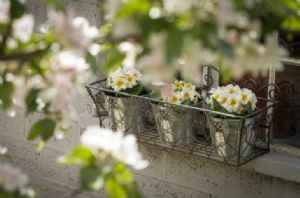 The cottage itself is beautiful and rustic with fruit trees in the very pretty garden. 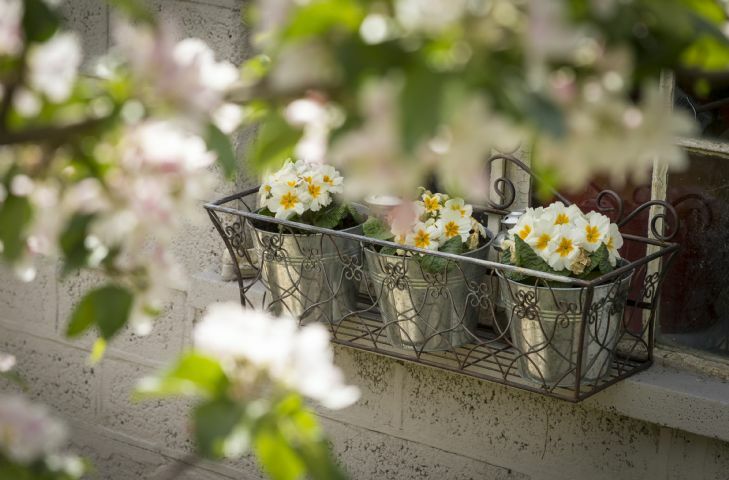 Inside the house is fresh and cheerful and extremely well equipped. The attention to detail was superb including lovely toiletries, a basket full of goodies and lots of pamphlets and books providing information on the surrounding areas. The linen was first class and the beds were extremely comfortable. The television also provided all the channels we wanted to watch. It exceed our expectations and we had a lovely weekend. 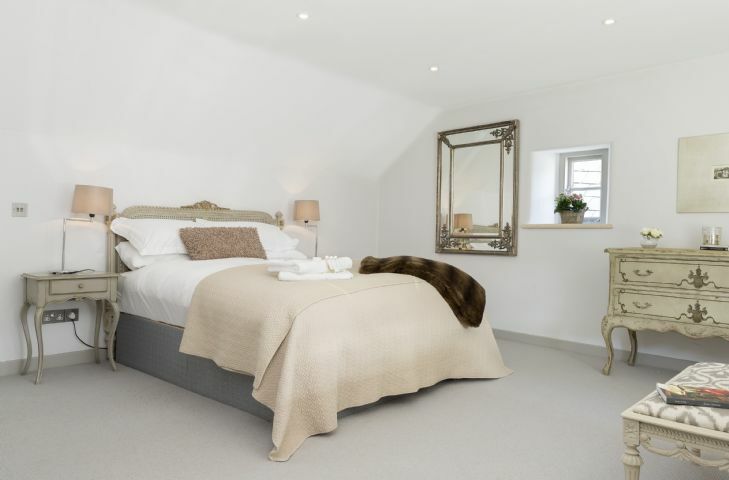 Ideal for a peaceful break away in the countryside. Really cosy with 2 log burners inside and one outside and plenty of lovely blankets for curling up under! I organise travel for VIPS around the world and so my standards are high!!!! Local pub is great and just a few metres away! Beautiful cottage in a chic boutique style. Very warm and cosy, with a good sitting area in the garden. 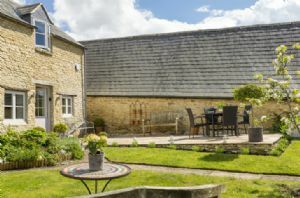 Wonderful location, tucked away in a small village with an excellent pub within 5 minutes walk. There are several walks from the cottage accessing the picturesque countryside. What a lovely review for our little gem Mole End Cottage. Thank you so much. The cottage was well presented and maintained. Could have been some DVDs/CDs available if access to TV/Music was needed?? From the owner ~ "It was lovely to meet you both. The grass, as I explained to you, was unable to be cut because of the adverse weather conditions the previous week, the gardener arrived to cut the grass whilst you were there and you were "happy. 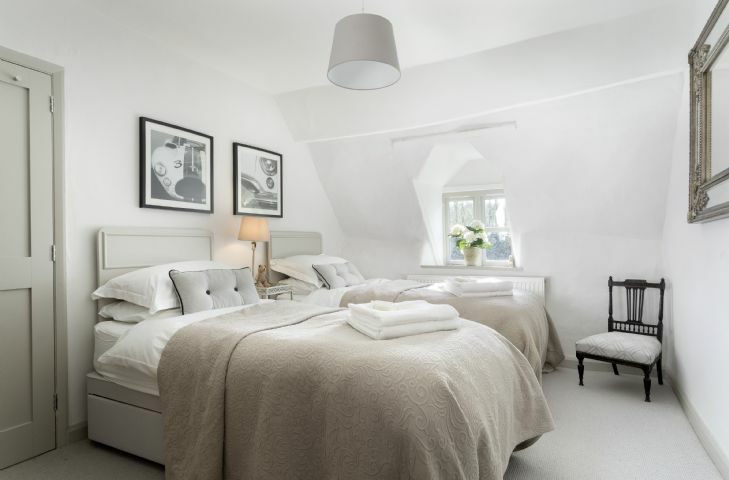 "The bed is a King Size bed and accommodates the room perfectly; a cot is sometimes required in the same room by parents.We have SKY TV and Sonos systems; all music channels are available and can be used along with your personal systems.I hope this helps." 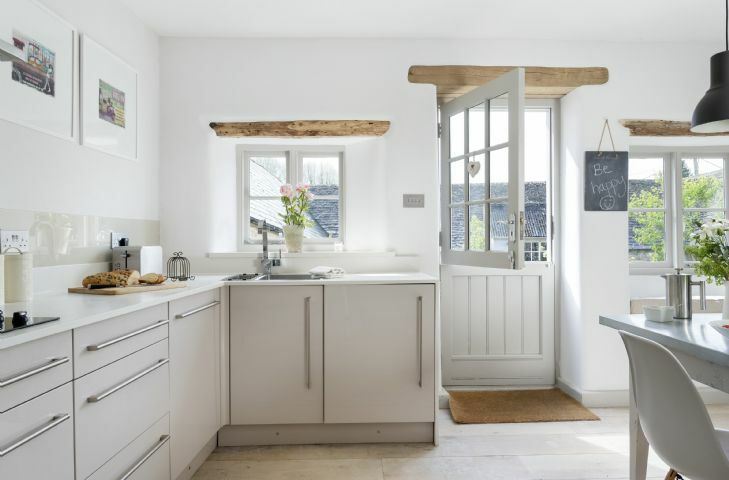 Lovely clean, modern cottage. Beautifully decorated and very well equipped, they had thought of everything!. The only minor thing was a lack of a blink in the childrens' bedroom bed we had to block out the light with a towel. Thank you for your lovely review. Unfortunately a previous guest broke the blind attachment so it had to be sent away for repair. 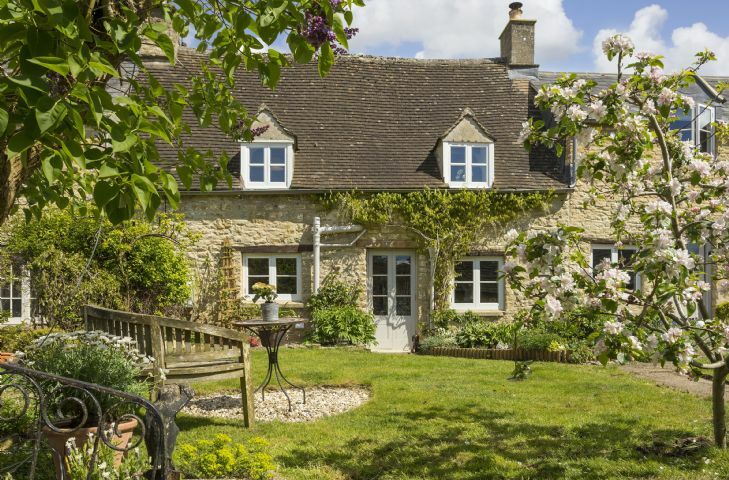 This is a truly beautiful cottage in a lovely Cotswolds village. 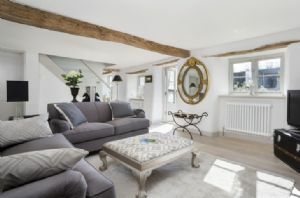 It has been furnished and decorated inside to a really high standard and we felt at home as soon as we arrived. The property owner, Linda, was also extremely friendly and helpful. I wouldn't hesitate to recommend this property to anyone and would definitely return! Perfect retreat. 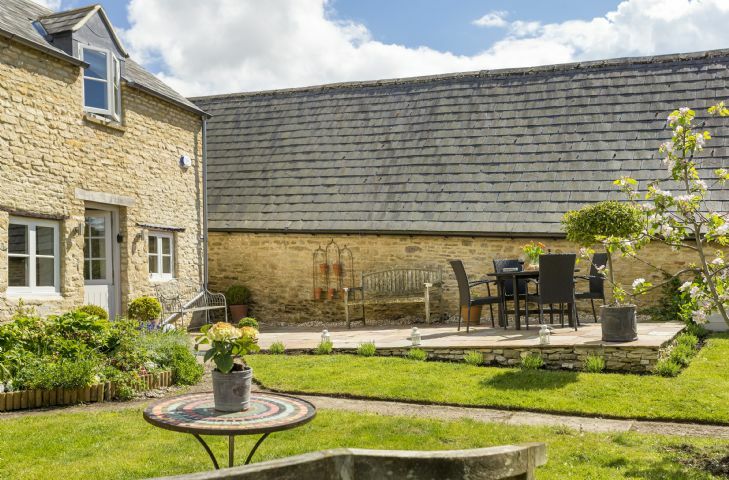 Peaceful location with the combination of easy access to all Cotswolds has to offer. 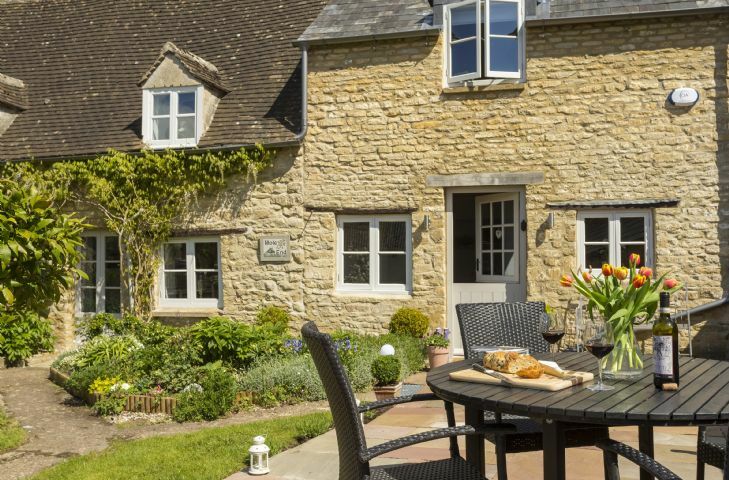 Nestled in the pretty Cotswolds village of North Cerney is Mole End Cottage. 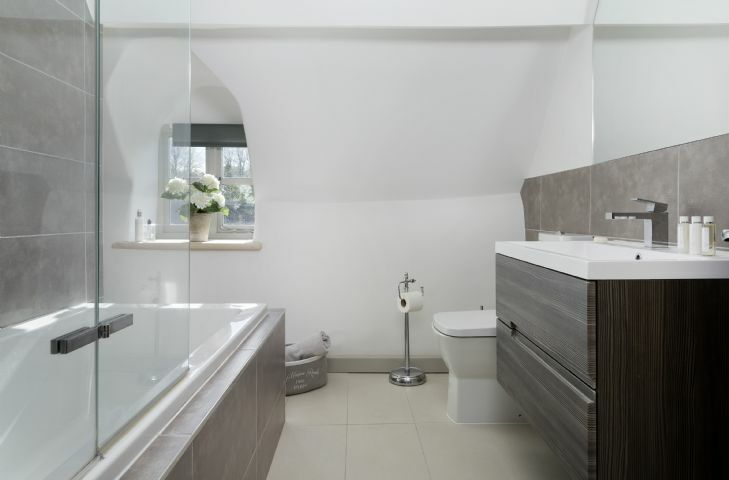 This traditional 18th century stone cottage has been completely transformed following a refurbishment. 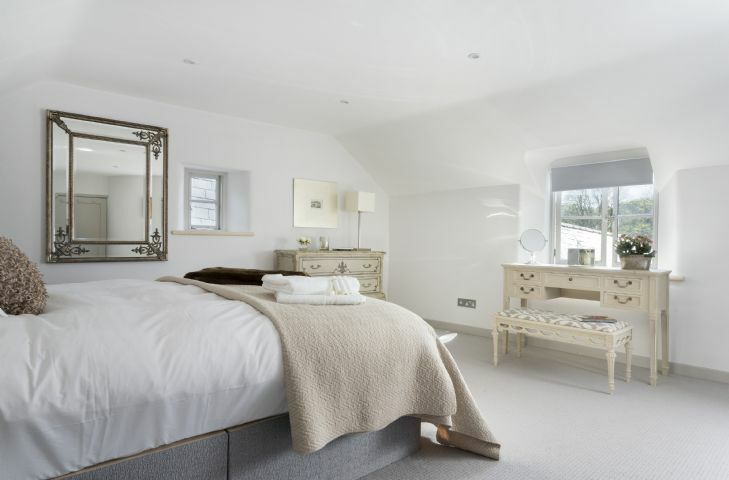 The contemporary interiors throughout are bright and airy, creating a spacious property sleeping four guests. The first floor features two lovely bedrooms, one double and one twin, along with a brand new family bathroom. On the ground floor guests will find a large, comfortable sitting room and sunlight filled kitchen/dining room. Both rooms have cosy wood burning stoves and doors which open out on to the South facing walled garden with two patio seating areas to enjoy. Sitting room and kitchen doors open on to private walled garden. Electric oven and hob, fridge with small freezer compartment and microwave. Dishwasher and combined washing machine/tumble dryer. Smart Television in sitting room. Further television in bedroom. Travel Cot & Highchair available on request. Two garden benches, garden table, BBQ and bistro set. 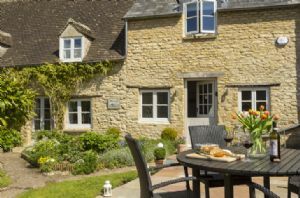 Try one of North Cerney’s circular walks that start out from the local pub The Bathurst Arms. Cotswold Water Park is just 10 minutes’ drive from Mole End Cottage. The perfect location for horse riding, water sports, cycling, fishing and swimming. Nearby Cirencester Park Polo Club is the oldest polo club in the UK and offers a host of tournament fixtures to watch. Take rest and relaxation to the next level with a spa day at the luxurious Cowley Manor C-Side Spa. North Cerney is approximately one and three quarter hours by car from Central London along the M4 and A419. There is a fast and regular train service from Paddington to Kemble Station, 20 minutes by taxi from North Cerney.